I contemplated for a while before posting this recipe here.Primarily,the pictures are not so blog worthy and more so taken in my kitchen during dinner time and secondly,this is a recipe which works best for us,not so sure about Pasta lovers.But then,what good is a recipe if not shared and posted on the blog anyway! 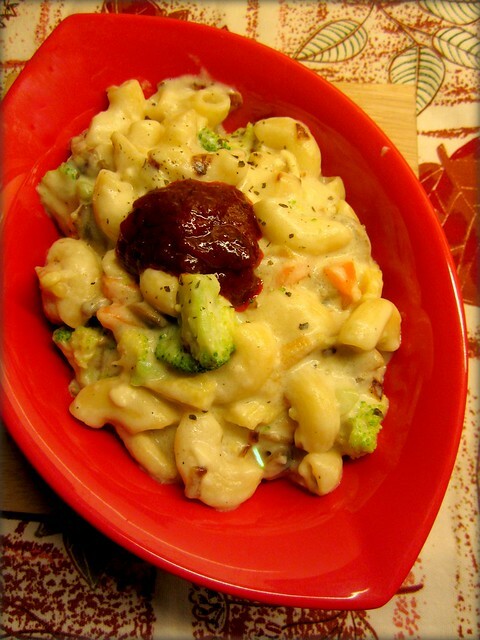 We love Penne & Macaroni as it soaks up the sauce and keeps the pasta warm for a while,you can try this with any pasta of your choice.Add vegetables which you like,add more cheese for variety(think cheddar! )and customize it according to your taste. 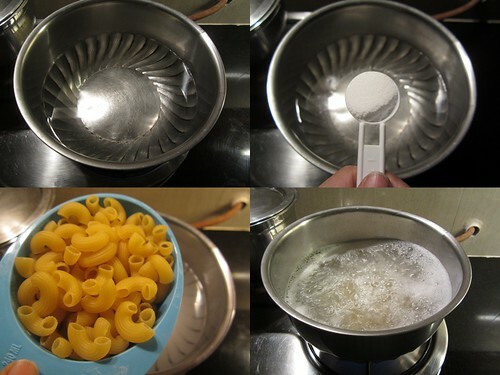 Cook the pasta - In a deep pan add around 10 cups of water to boil.Add a tbsp of salt.When the water comes to a rolling boil,tip in the pasta.Cook for 12-13 minutes or until the pasta is cooked 'al dente'.Immediately drain the pasta to a pan of cold water.Drain again and keep aside. 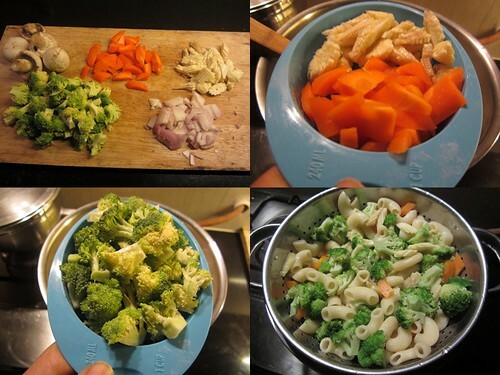 Cook the vegetables - I usually add the vegetables to the pasta during the last 5 minutes so that the pasta and the vegetables cook together.You can do this separately too. In a kadai/wok add the olive oil and saute onions and mushrooms till soft.Add it to the cooked vegetables and keep aside. 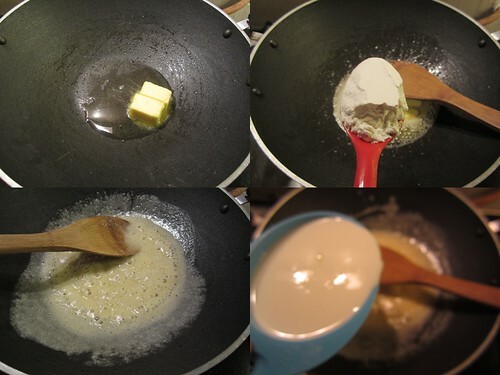 In the same wok,add butter+olive oil.Mix in the flour and saute for 2-3 minutes.Mix in the milk little at a time stirring all the while so that no lumps form.Let it come to a boil-it will look thin in the beginning but with start thickening as it cooks. Add salt and pepper to taste.Mix in the dried herbs and the cheese. 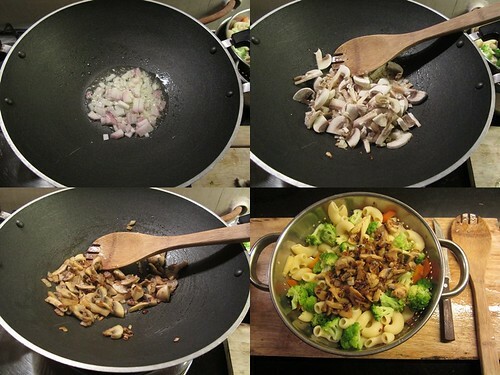 Now add the cooked vegetables along with the sauteed mushrooms and onions to the sauce and cook for 3-5 minutes or until the sauce coats the pasta and vegetables.Check for seasoning. You can make the pasta plain without vegetables or add more vegetables of your choice like tomato,corn,zucchini etc.I have added vegetables of our choice,I make a plain version with only broccoli too-the possibilities are endless. 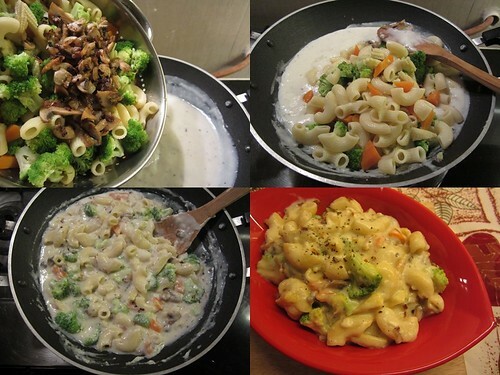 Follow the directions for cooking pasta as it can go from cooked to overcooked in no time.I cook the pasta for exactly 12 minutes and usually add the carrots/baby corn during the last 6-7 minutes and Broccoli during the last 3 minutes. 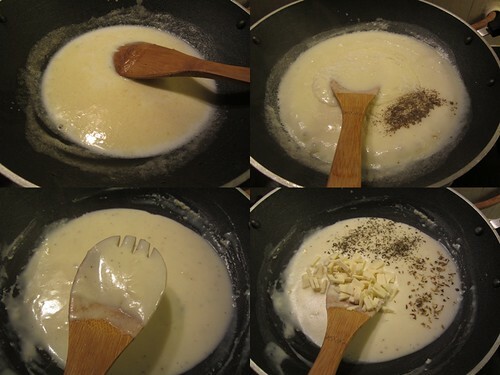 Do not throw away the water in which you cooked the pasta and vegetables-it contains starch and can be used to thin down the white sauce if it becomes too thick. Nice recipe! I've never tried white sauce! You are kidding, the pictures are great! Surely a pasta treat for pasta lovers like me! My son loves this so much that he wants this almost every second day..Nice creamy pasta. Yumm! I make it the same way!! I'll happily have this pasta for my dinner tonite. 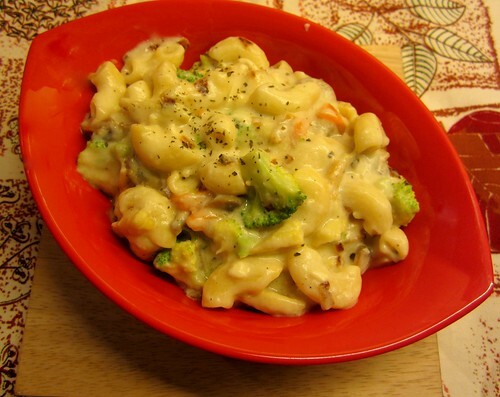 Its comforting, veggies gives it a healthy twist and we all love it.. cannot get better! The step by step pictures are a great help. This looks so very good - delicious and filling. Hi.. Lovely blog. Sorry for the misplaced comment, but i wasnt sure you were checking your old posts from 2008/9. Had a question regarding the veg kurma based on Lakshmi nairs book.How many does the recipe you posted serve? thanks a tonne. 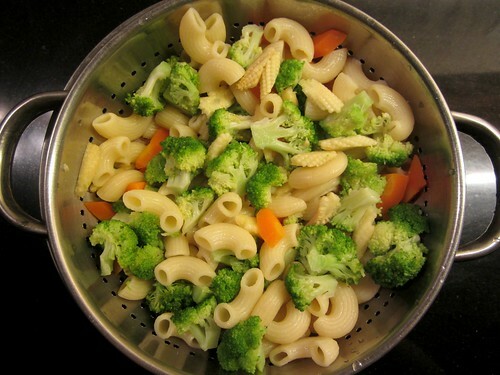 that helps a lot..
this is my fav...i take pasta for lunch to my office..looks yumm and delish.. Thanks Genny,you can find the search box on the right hand side,just above the blog archives! I love ur blog..ur recipies are so accurately described. I tried this recipe today and pasta turned out to be super yummy! :-) thank u so mch!